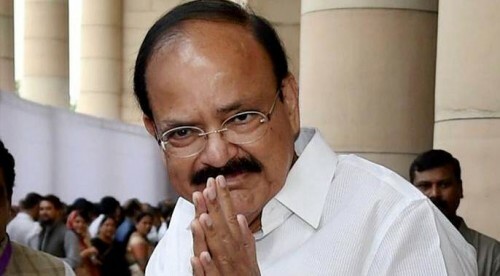 New Delhi : Vice President Venkaiah Naidu on Saturday said serving rural areas for two-three years should be made mandatory for young doctors to get their first promotion. Naidu was speaking here at the 11th International Dental Students and 5th Dental Surgeons Conference, jointly organised by the Dental Students Welfare Association and the Dental Surgeons Conference. Appreciating the people who have taken an oath to work in rural areas for 15 days in a year, Naidu said: "This is a good idea and I am sure that the initiative will help the needy." "The dentists' fraternity also has a great responsibility to step up the fight against oral cancer which accounts for a sizeable number of cancer cases in the country," he added. The Vice President said that the most common oral diseases are dental cavities, periodontal (gum) diseases, oral cancer, oral infectious diseases, trauma from injuries and hereditary lesions. "Proper awareness and setting up of health camps will be right steps to address this problem", he said. Naidu said that while the government is keen to set up more colleges in the public sector, "strict action should be taken by the Dental Council against the private dental colleges", which are not maintaining proper standards and falling short of stipulations. "We can't afford any kind of laxity when it comes to health education and healthcare of the people. I am told that only 40 of the 300-odd dental colleges in the country are under state's control," he said. Taking cognizance of digital revolutions, the Vice President urged the young doctors to ensure that they provide affordable oral treatment and implants while using the latest technology. "We need to encourage people to maintain proper oral hygiene and visit dentists periodically to ensure a healthy society," he said.